The deadly blaze that tore into many parts of California has finally been contained, officials announced on Sunday. 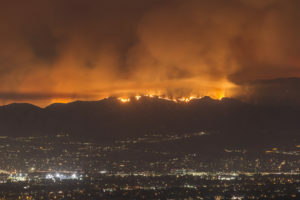 However, it has left behind a trail of losses between $15 billion and $19 billion, according to an analysis by CoreLogic.The report contains the updated residential and commercial loss estimates from the wildfires based on the latest post-containment perimeter of both the Camp and Woolsey Fires. The analysis recorded a total loss in the range of $11 billion and $13 billion from the Camp Fire, the most destructive wildfire in the state’s history. Additionally, estimated losses from Woolsey Fire in Southern California are estimated to be between $4 billion to $6 billion. Residential and commercial properties account for building, content, and additional living expenses. The estimated losses include damage caused by fire, smoke, demand surge and debris removal. The residential loss from Campfire alone is between $8 billion to $9 billion. Woolsey fires ravaged infrastructure worth $3.5 to $5.5 billion in the residential space and $0.5 billion in commercial losses. Since fire is covered under a standard homeowners’ policy, the majority of homeowners are likely to have some protection from the financial challenges surrounding recovery, the analysis indicated. As part of FEMA’s federal aid program to help those affected by the fire, a loan of up to $2 million was made available for business property losses not fully compensated by insurance. 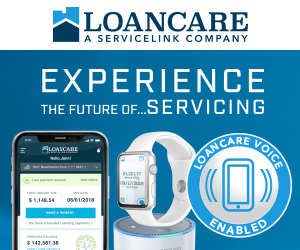 Fannie Mae and Freddie Mac have authorized servicers to suspend or reduce homeowner’s mortgage payments immediately for up to 90 days if they have been affected by a disaster. Payment forbearance of up to 12 months is available in many circumstances. Foreclosures and other legal proceedings were also suspended.